On the edge of Brixton lies a brilliant little neighbourhood joint called Naughty Piglets. For those who live within the area, what a great place you have as it’s the sort that would certainly impress any newcomers. 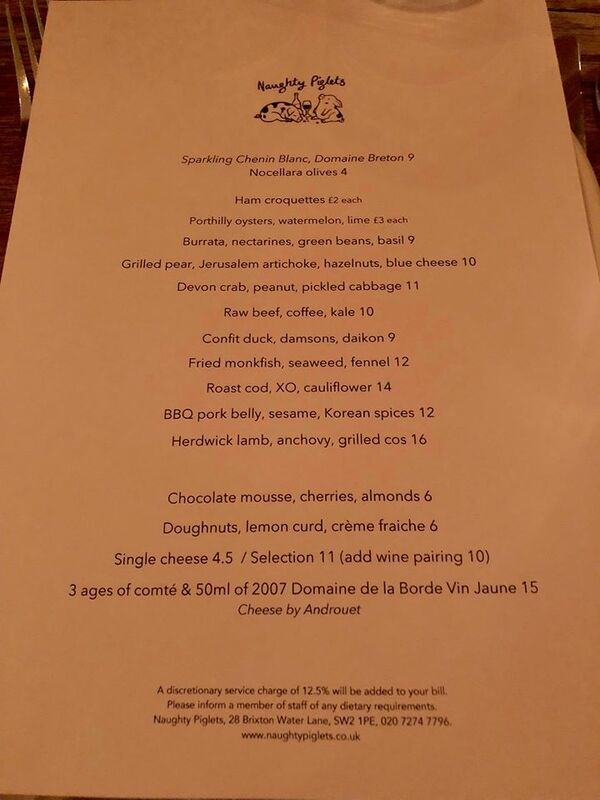 It’s a small and intimate restaurant that has a busy open bar and kitchen right next to the entrance, where sharing plates are tantalisingly dished up. At the back there is a quiet, reserved and area, there aren’t many tables but the setting is perfect for those who want to kick back and relax. On the food front, Naughty Piglets offer a good range of plates to choose from, mostly focusing on fish and meat with a few veggie options also thrown in. With exceptional service and knowledge from the team, there is little headache selection when choosing what to have. But for big groups, it’s pretty easy to go for the whole lot. Naughty Piglets are far from stingy with their portion sizes. 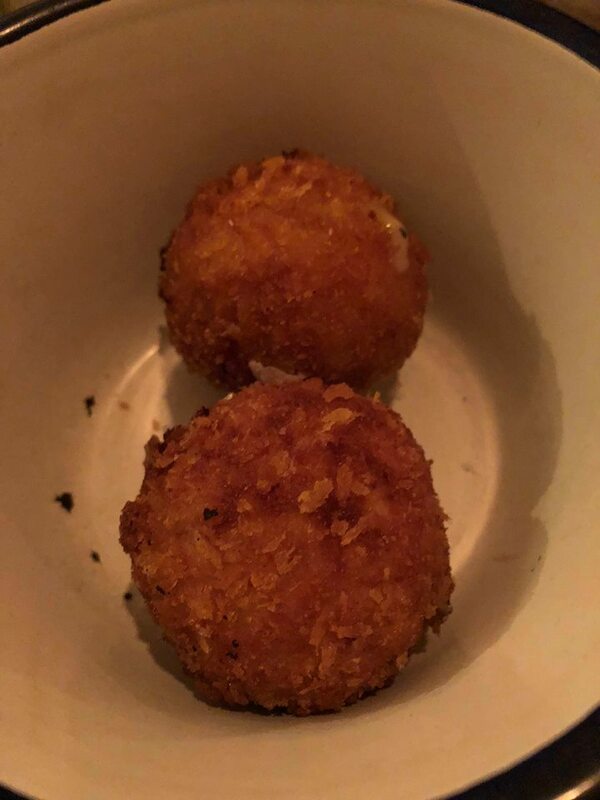 The croquettes are a no brainer considering that it has a creamy, rich filling with chunks of ham in it and for £2 each, order at least 4. 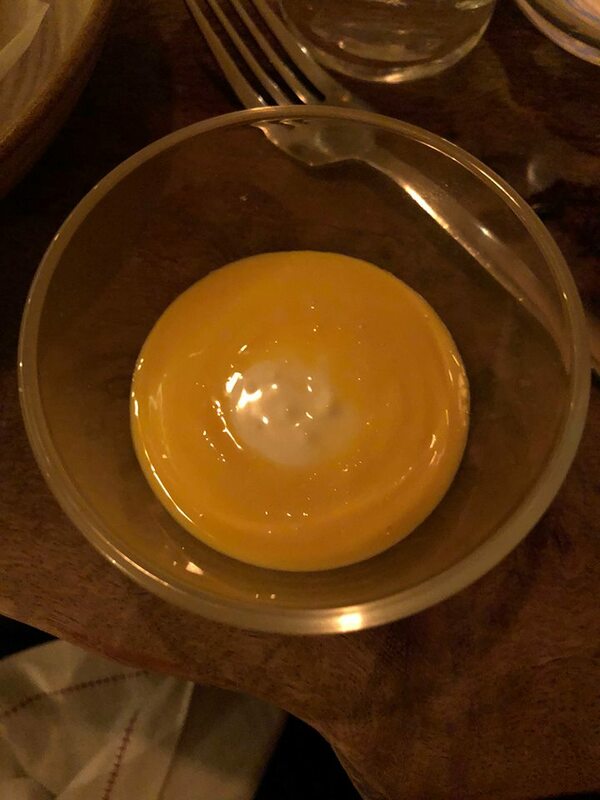 It’s very easy to order more but save some room for the rest of the menu. 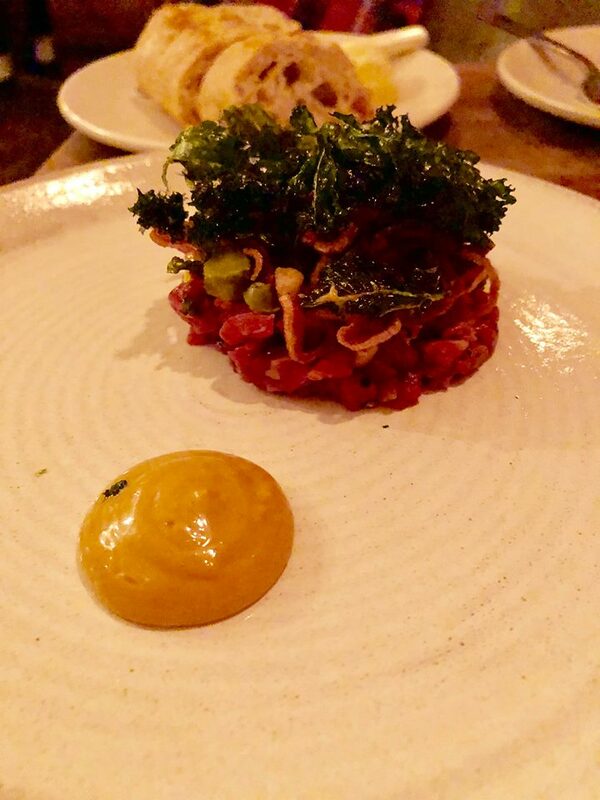 The raw beef is essentially steak tartare but they put a nice little spin on it where a lovely bit of chopped beef is mixed in with coffee to give it an awesome bitter edge to it. It certainly works and with sweet pieces of gherkin, crispy shallots and kale on top, its fantastically moreish. The main courses are brilliantly executed too. We went for a delicious slab of pork belly that’s marinated in Korean spices and then carefully steamed and grilled right until its just about bouncy and falls apart. With a good dollop of gojuchang for that little kick and sesame wilted greens for the nuttiness, it’s practically perfection on a plate. 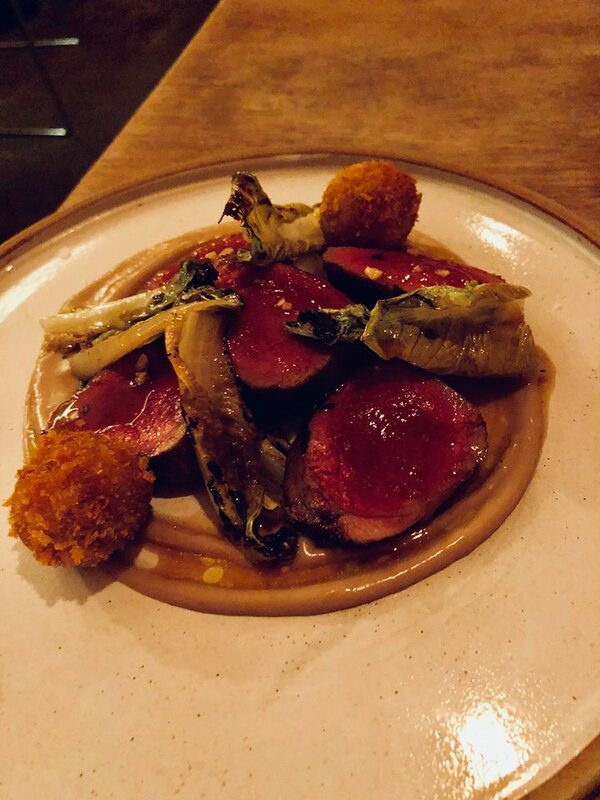 Even more remarkable is the Herdwick lamb where mouth-watering slices of lamb are sat on top of a salty anchovy emulsion. Wedges of charred lettuce offer that yummy goodness and there’s even a couple of cheeky shredded lamb bon bons thrown in there as well. Its one of those dishes that instantly puts a smile on your face and could go back to time and time again. 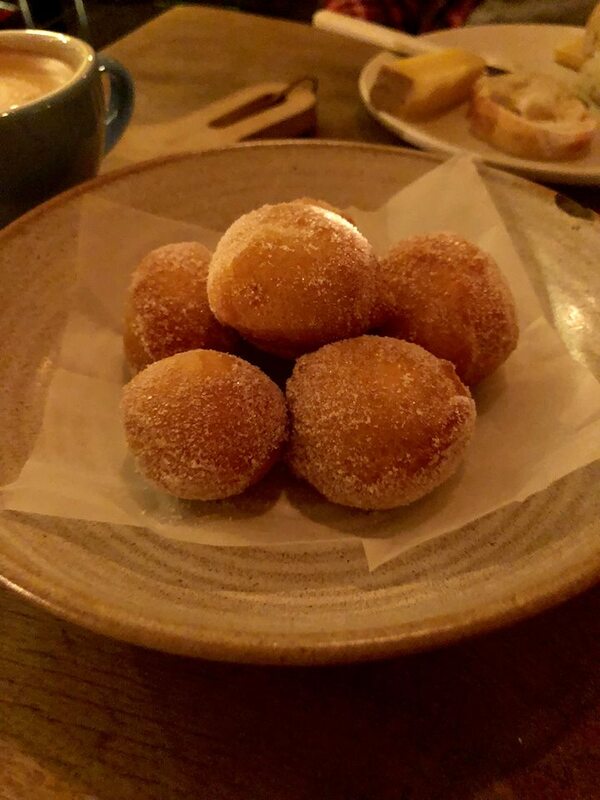 Desserts are simple enough as well and the doughnuts polish things off nicely. A decent amount of sugary delight, they are served with a cool, refreshing lemon curd crème fraiche. Nothing beats that hot and cold combination.